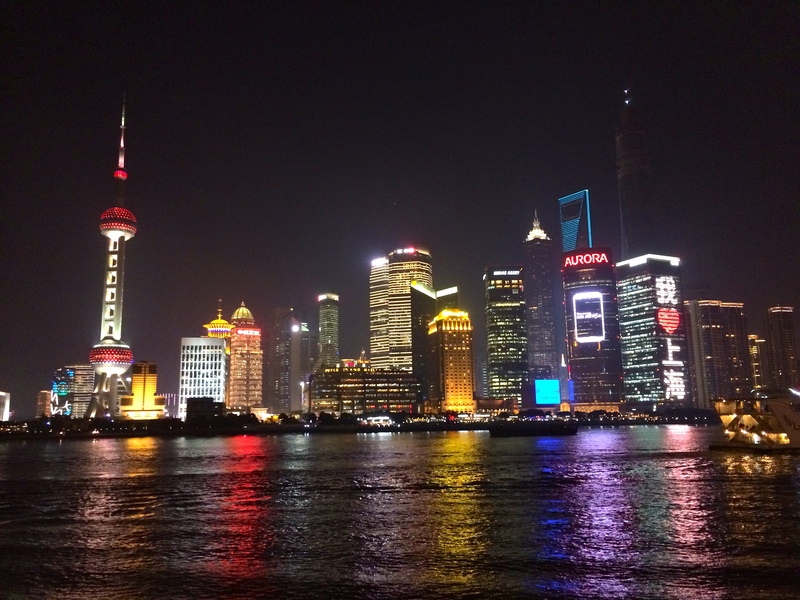 Obviously I had to write something about the Bund and the financial quarter of Lujiazui because it’s the first thing which came to my mind when the city of Shanghai is named. 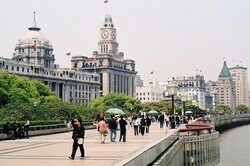 The Bund is the boulevard of the city of Shanghai, it is made with sumptuous European style buildings and colonial banks or companies of the Thirty years. 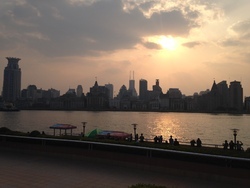 Located in the former concession of Shanghai, the Bund is in Puxi at east of the Huangpu district, on the west side of the Huangpu river. 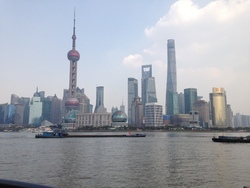 It is facing the new financial district of Lujiazui in Pudong district located on the other side on the river. 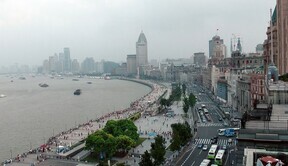 The bund measuring 1.5 km, along Zhongshan Road. On this road there are 52 types of European buildings that symbolize the colonial architecture of the Bund. The architectural style ranges from Romanesque to Gothic through the Renaissance styles, from Baroque, neo classical, Fine Arts and finally Art Deco. 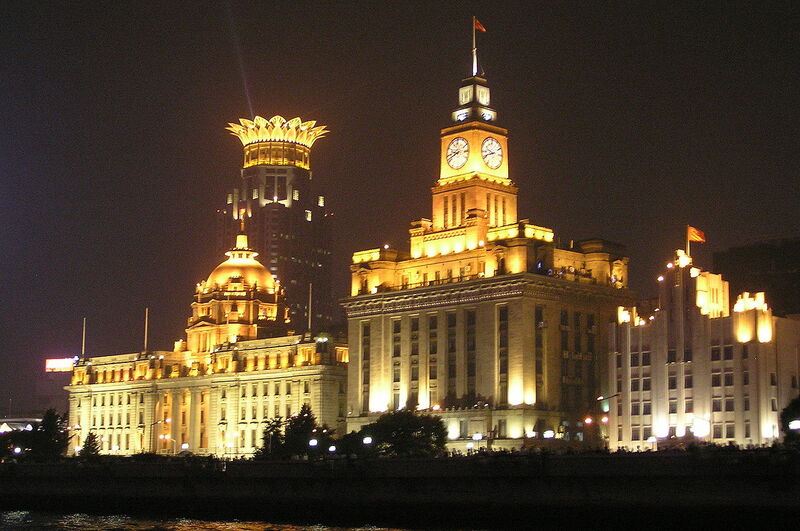 Let’s return to the 18 on the Bund (Chartered Bank Building). This is a building in which we spend a lot of time because of the amazing view that it allows to have on Pudong. 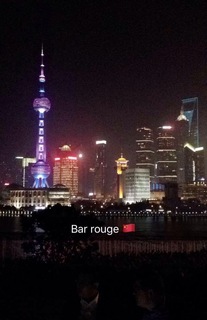 In fact at the 7th and last floor, you can find the Bar Rouge. 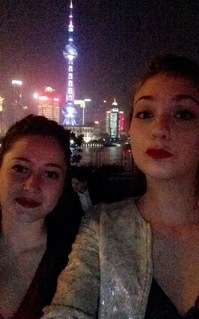 It is a really nice night cub with an amazing rooftop terrace. 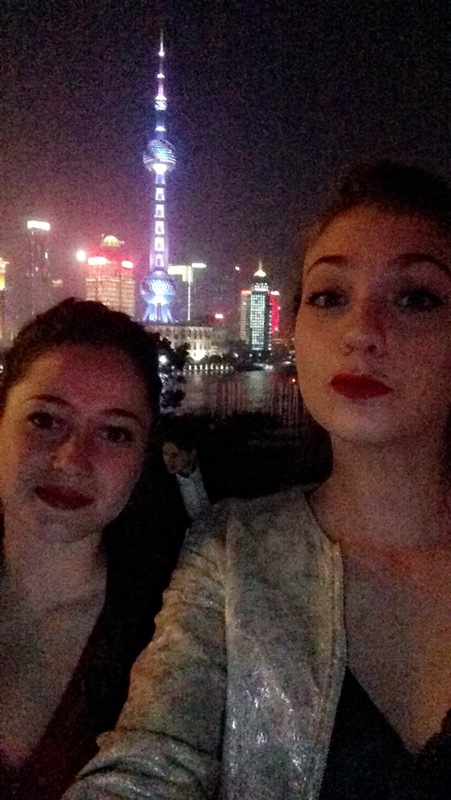 Here we can dance and have a drink while admiring the beautiful view of the lighted towers of Pudong. 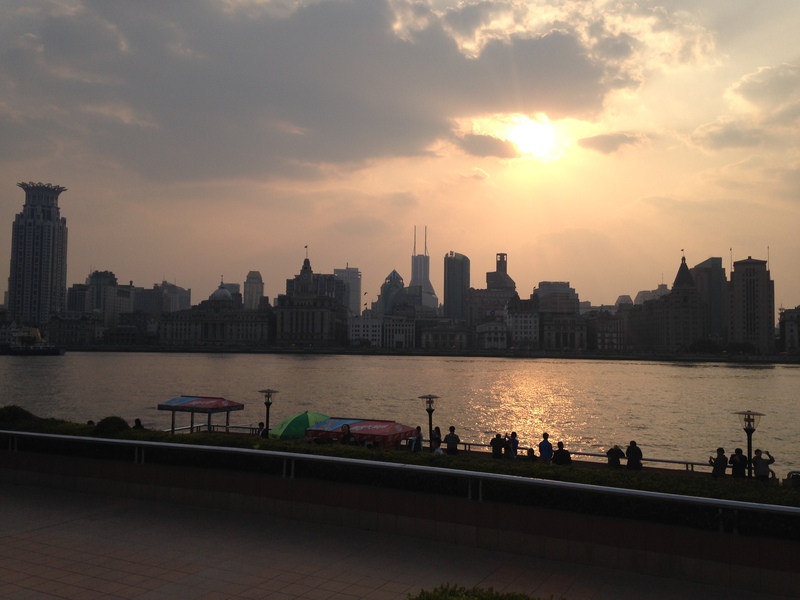 Talking about Pudong, the bund will not be such a thing without it. 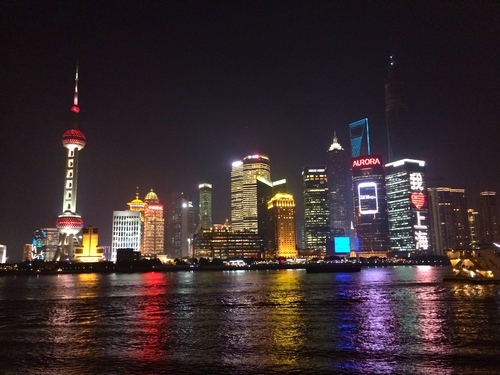 In 1990 the Chinese government decided to open a special economic zone in the Pudong district fostering the development of a major business district called Lujiazui. 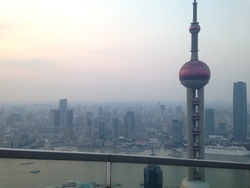 Today we can find in this area buildings that have become the symbols of the Chinese economic boom. 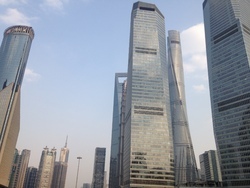 The four tallest towers are the Jin Mao Tower (1996, 420 meters, 88 floors), the Oriental Pearl (1995, 468 meters), the Shanghai World Financial Center usually called the bottle opener because of its shape (2008, 492 meters and 101 floors) and the Shanghai Center which is the second tallest towers in the world (2015, 632 meters, 127 floors). Every evening this incredible skyline is illuminated starting from 18 pm until 23 pm on the summer, so it’s the best hours to be filled with wonder.